Perfect Corp has launched its new 3D augmented reality (AR) engine with a new series of Halloween looks in its beauty app, YouCam Makeup. The new looks are curated by multiple beauty authorities such as celebrity makeup artists Kristofer Buckle and Robin Black, and beauty influencers Vanessa Davis and Setareh Hosseini. Designed to offer accurate and realistic virtual beauty trials, the new AR engine reconstructs a real-time 3D face model depending on a facial scan of more than landmarks per second. The reconstructed 3D model is intended to provide live camera experience for a true-to-life try-on with virtual makeup effects. "The introduction of our advanced 3D engine revolutionises beauty tech." 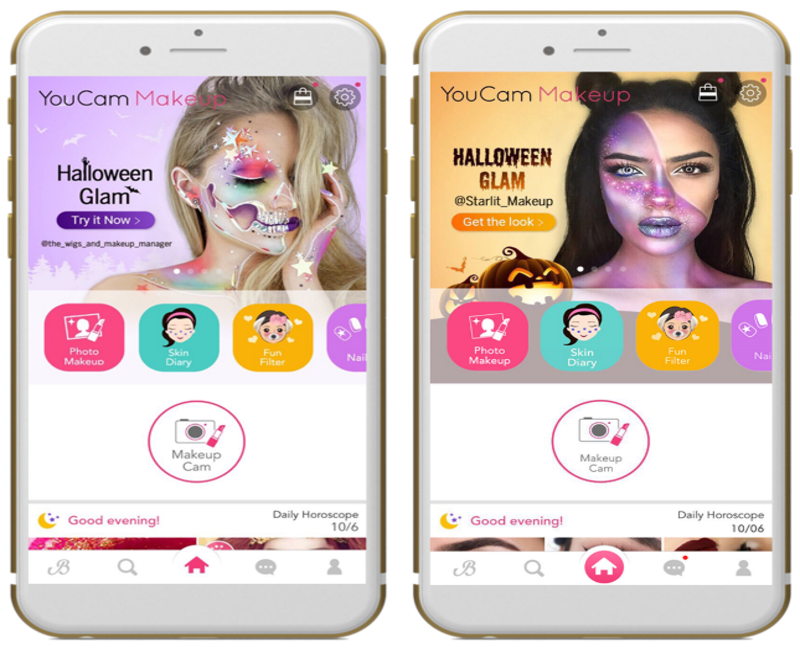 Perfect Corp CEO Alice Chang said: “YouCam Makeup is thrilled to collaborate with the top names in the industry to offer beauty lovers the most immersive AR Halloween makeup experience ever created. “The introduction of our advanced 3D engine revolutionises beauty tech. In September, the firm has trialled the new 3D AR engine on YouCam Makeup by offering virtual try-on of looks from reality television show American Beauty Star and Nolcha Shows’ runway-inspired AR makeovers. Image: YouCam Makeup Halloween beauty looks. Photo: courtesy of Perfect Corp. USA.